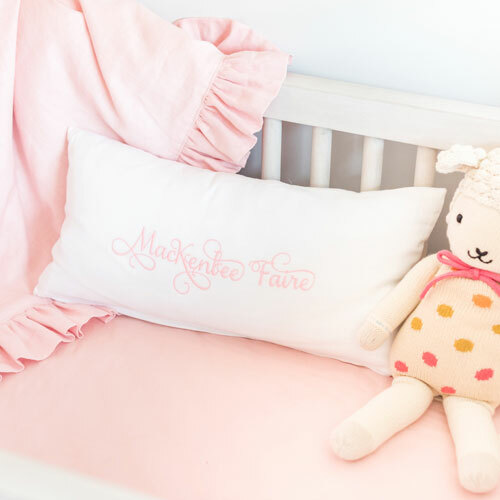 Designed exclusively for Matt and Angela Lanter's baby, Mackenlee Faire, this baby girl crib bedding is feminine and gorgeous! 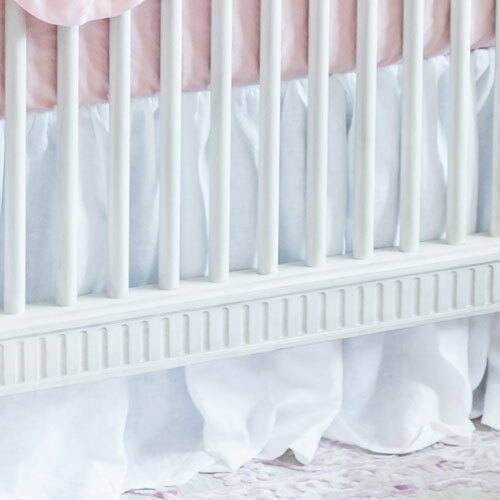 Simple yet elegant, this white and pink crib bedding collection is a classic, and perfect for a unique baby girl's nursery! 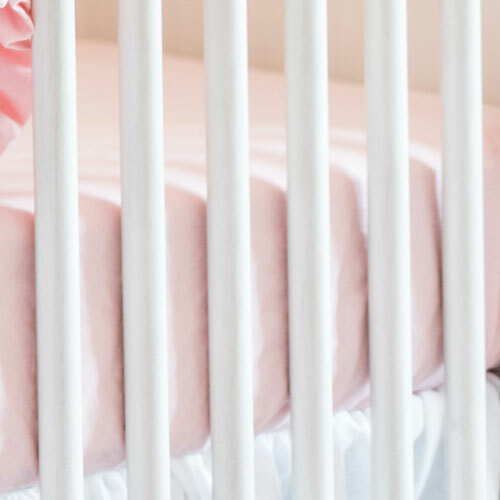 The 100% cotton pink crib sheet in this set and luxurious linen crib skirt set the stage for a stunning nursery. The extra full white ruffle crib skirt is made of our washed Linen Fabric in Snow...crisp and fresh. 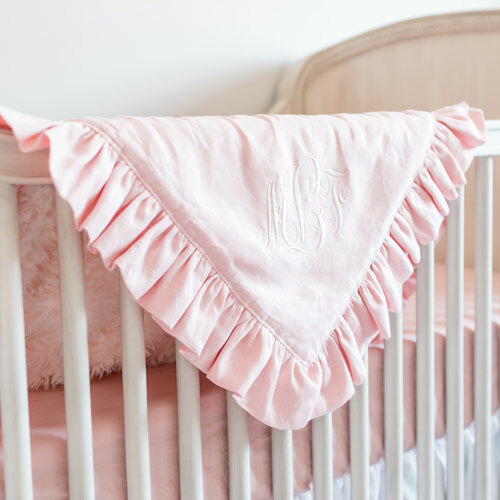 Warm and cuddly pink linen crib blanket with ruffle can be personalized with a monogram. • White Linen Ruffle Crib Skirt drop length is 17". Longer 22" Crib Skirt (shown in image) is an option. • Pink Linen Crib Blanket is 36" by 36" backed with soft flannel. Upgrade blanket to a minky or faux fur (in photo) backing. If you would like a crib rail cover or a crib bumper for this set, please email us for pricing. Order free swatches for this linen crib bedding collection here. 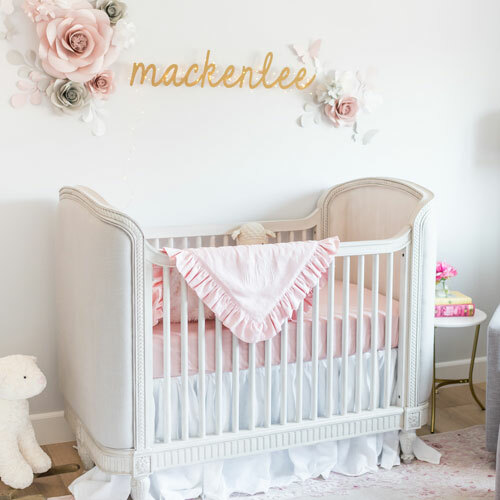 See more of this darling nursery on our blog! Q: Can I buy just the pink blanket?